Every culture’s cuisine has dishes that are considered staples. Sure, you might think when it comes to Mexican food that they might be tacos or burritos, favorites for sure, but the real defining dishes are the ones that bring back memories of family and holidays and celebrations. Dishes like menudo (beef tripe) and birria (goat stew) are staples and at Chalio Mexican Restaurant in East L.A., they are menu signatures. At Chalio, the birria recipe has been in the family for four generations explains owner Raul Luis. The birria recipe has been passed down from father to son for generations, however, it should be noted that it was Raul Luis’ mother who came up with the idea to sell birria; first from home, then at the family-owned restaurant, which at the time only sold birria. 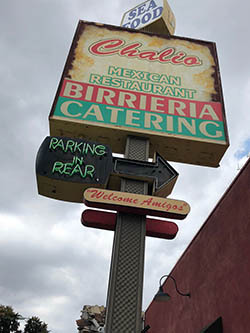 Now the family has opened other birria shops, as well as Bad Azz Burrito in Fort Worth, Texas, but it’s at Chalio Mexican Restaurant where a whole slew of tasty Mexican fare can be found and enjoyed. Beloved for its birria, other menu favorites include Chile Verde and Molcajete, as well as breakfast dishes like Menudo, Chilaqulies, and Huevos con Chorizo. 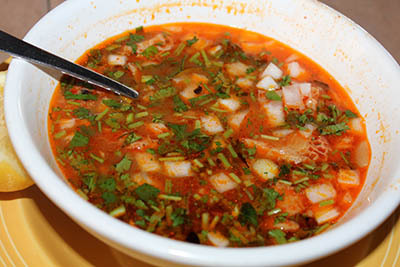 During our recent visit for a long weekend lunch, we started with an order menudo that just hit the spot. I was raised with menudo and it was always a weekend favorite of mine and this dish brought back so many fond memories. Next, we went for some of the big dishes on the menu—these are definitely meant to be shared. 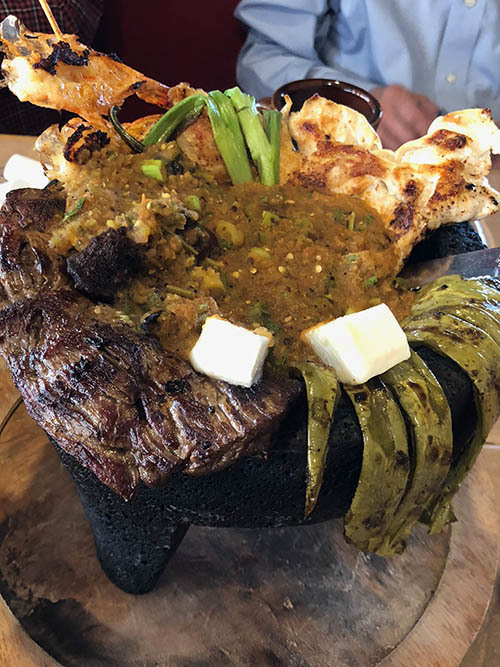 The Molcajete Yucatan with shrimp, steak, chicken, chorizo and queso ranchero is a crowd-pleaser. In Spanish, this section of the menu is called Plato Fuertes (strong plates) for good reason. This is a hearty and very flavorful menu option. 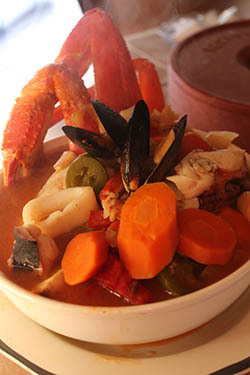 Another favorite is the Caldo de 7 Mares—Mexican version of fish stew—with shrimp, crab, oysters and octopus. But it really is all about the birria, which is the house specialty. You can order your birria boneless, with bone ribs, with nerve meat, with a large bone and nerve meat, as an assortment of meat cuts or served as soup in a bowl. Tacos Dorado be Birria—fried tacos served with onions and red sauce—are fantastic. You can also make your very own birria burrito with one of Chalio’s homemade, oversized tortillas. I’ve never seen larger tortillas. 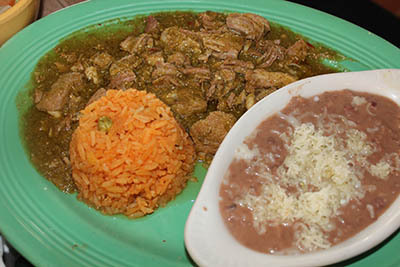 Another menu standout is the Chile Verde O Colorado—pork simmered in green or red sauce served with rice and beans. This one just hit the spot. The flavors are spot on and come together to create pleasing comfort food. 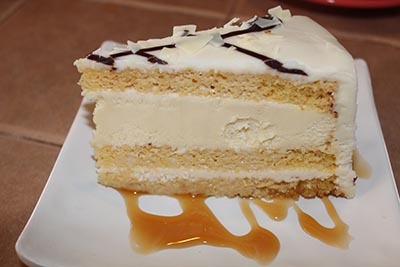 If you save room for dessert, the flan and tres leches cheesecake are winners. 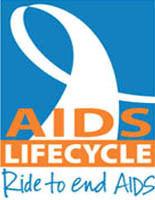 But chances are you may overeat and will pass on the sweets. Sure, if you’re a regular you can find normal sized menu items that won’t make you go up a belt notch, but if you’re a foodie on the hunt for a pleasing adventure, then dive into the menu and order away and get lost in tasty staples that Mexican cuisine has to offer. 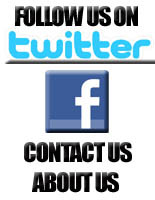 Chalio Mexican Restaurant is located at 760 S. Atlantic Blvd n East L.A. Open daily. 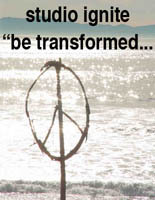 Call (323) 262-3456.